Are you guys ready to hear about Copenhagen? Good, because that's what's happening over here this week. Copenhagen is my kinda town and we had a wonderful visit! Everyone was all, "oh, why did you pick Copenhagen for your birthday trip?" And I'm all, "umm, I don't know. Michael says it's cool?" I knew I married him for a reason. The man is smart. We took the very last direct flight of the season from Montpellier on Cimber Sterling, which is officially the most random airline I've ever flown. Copenhagen is only a 2.5 hour flight from Montpellier and the city center is very accessible via train from the airport so our travel was stress-free and fast. We had perfect weather, amazing meals, and explored a lot of the beautiful city. I'm going to divide up my posts on this trip into 3 parts so that I don't overload you with pictures and info in one fell swoop. So let me start off today by telling you a few things about Copes. Greater Copenhagen is actually a series of islands. The city has often been recognized as providing the best quality of life and also as being one of the most environmentally friendly. It seems that everyone speaks English, so it was nice to have a short break from the daily language barrier struggle. Copenhagen is not cheap. It gives you the old 1-2 punch as you read prices in Krone (sounds expensive) and then convert to US dollars (yikes, it is expensive). The current exchange rate is 1 USD = 5.57 DKK, but everything is priced accordingly. (side note: in 2010, Forbes ranked Copenhagen as the 10th most expensive city in the world). Everyone rides a bike. And no one locks them up. No one. 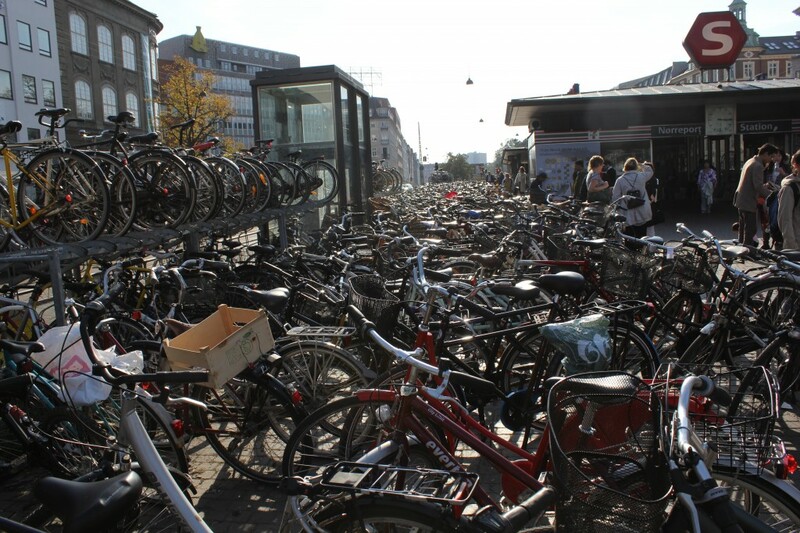 guess how many of these bikes are locked up? that's right, none. Once you wrap your head around the train system, it's a great way to get around the city, but it's REALLY hard to figure out. They make it incredibly confusing (why do 3 different trains have the same name?) and took us about 2 full days before we knew what we were doing. I thought maybe we were just having a brain lapse but I conferred with some of my other well-traveled friends and they agreed that it's complicated. Surprisingly, it's a major "foodie" city! 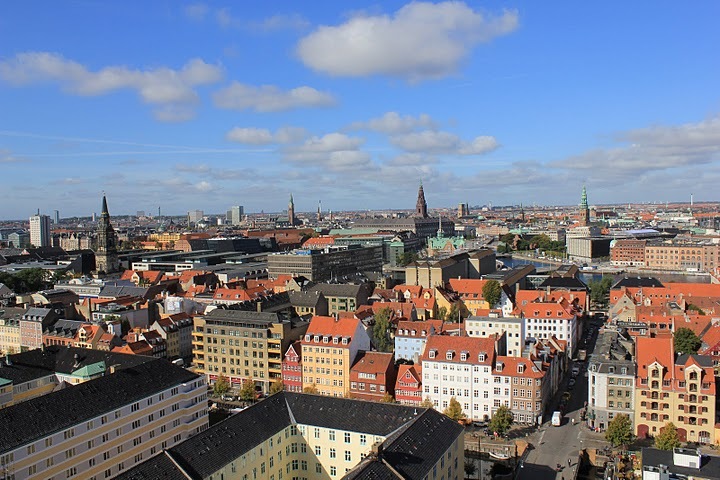 Copenhagen has 11 Michelin stars across 10 different restaurants (in 2011), and is also home to Noma, which has been named the #1 restaurant in the world for the second year in a row Yes, THE WORLD. We didn't make it to any of these places due to lack of reservations and serious cash, but we did to go the sister restaurant of one (which I'll tell you about in Part III) and it was incredible and probably 1/4 of the price. Check back tomorrow for Hump Day when I'll be telling you about our trip to the Carlsberg Brewery! Seems like a great city! Hope all is well!